They all look the same. The Zits has a nice twist on the claim that white people often make that all black people look alike, or that all “Asians” (meaning East Asians — Japanese, Korean, Chinese) look alike. Over the moon. The Rhymes has an outrageous pun (Cowsmonaut / Cosmonaut), but the body of the strip is a joke that depends on your getting the reference to the English nursery rhyme “Hey, diddle, diddle / The cat and the fiddle / The cow jumped over the moon”. And, of course, on your knowing that cows are major sources of the powerful (and highly flammable) greenhouse gas methane. The Dada theme runs through all three panels, and Trump (currently a target of Bill Griffith’s, and of many other cartoonists as well) appears in the last two). The last panel has a pretty clear reference to Pablo Picasso’s famous pronouncement “All artists are thieves”, which has been quoted and elaborated on by many over the decades since Picasso said it — but I have to confess I don’t know the source of the stuff that follows “All artists are riding steeds”. Cheese curds in cuisine, or cooking, are the solid parts of soured milk either eaten alone or used in various regional dishes, mostly in eastern Canada and the northeastern and midwestern United States. They are sometimes referred to as “squeaky cheese”. Fresh cheese curds are often eaten as a snack, finger food or an appetizer. They may be served alone, dressed with an additional flavor, or with another food, such as a small smoked sausage or piece of cured pork, with the elements skewered together on a toothpick. Examples of flavorings applied to fresh curds include jalapeño chili peppers, garlic, various herbs, or spice blends such as Cajun seasoning, with garlic and dill on cheddar curds being a popular combination. 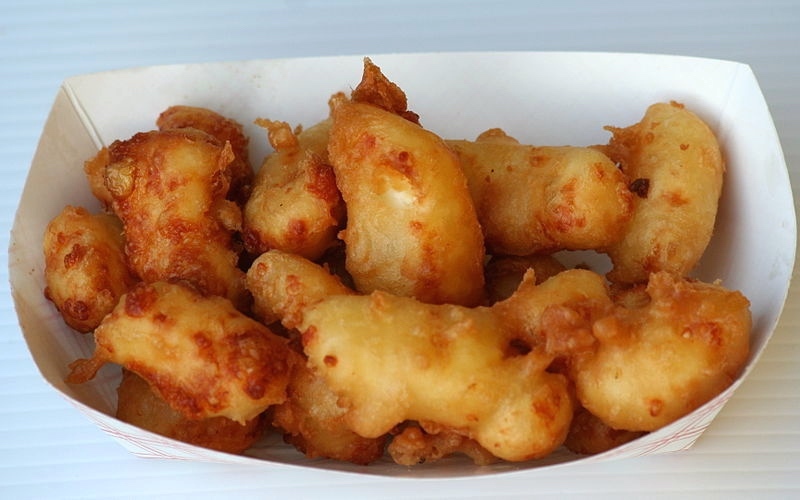 Fried cheese curds: In the Midwestern United States (primarily in Wisconsin and eastern Minnesota) they are a local delicacy. 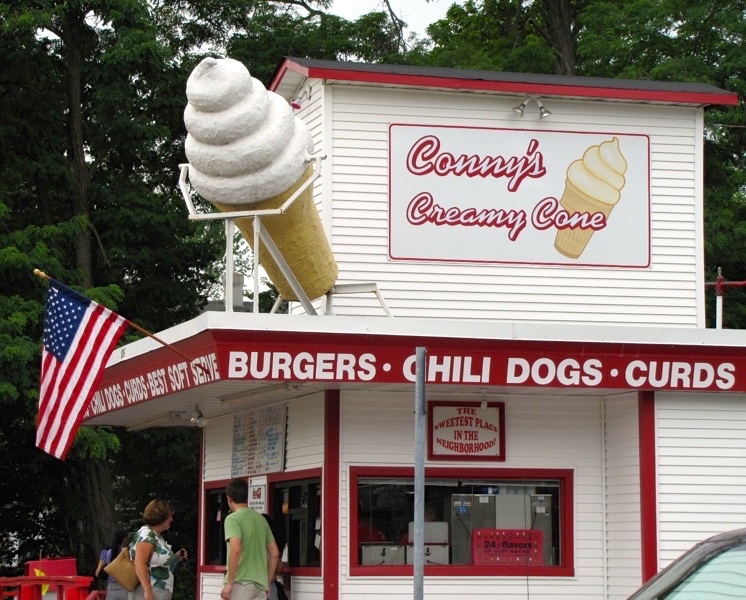 Deep-fried cheese curds are often found at carnivals and fairs, and often local non-chain fast-food restaurants, regular restaurants, and bars, as well as a few chain restaurants of local origin, such as Culver’s. Deep-fried cheese curds are covered with a batter, like that used for onion rings, or are breaded and placed in a deep fryer, they are sometimes served with a side of ketchup or ranch dressing. This entry was posted on January 28, 2016 at 11:22 am and is filed under Art, Diners, Language and food, Linguistics in the comics, Puns, Race and ethnicity. You can follow any responses to this entry through the RSS 2.0 feed. You can leave a response, or trackback from your own site.